We have been seduced by an idolatry that deceives us into thinking that God is mostly found in the big and loud, when in fact, God is almost never found in the big and loud. The ways of God are predominantly small and quiet. The ways of God are about as loud as seed falling on the ground or bread rising in an oven. The ways of God are almost never found in the shouts of the crowd; the ways of God are more often found in trickling tears and whispered prayers. We want God to do a big thing, while God is planning to do a small thing. We are impressed by the big and loud. God is not. We are in a hurry. God is not. We want God to act fast, but Godspeed is almost always slow. 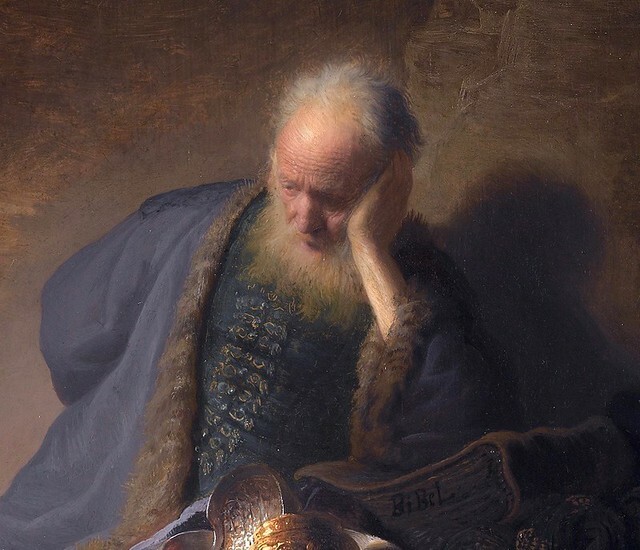 So we are waiting for God to act, but I would suggest that we are not so much waiting for God to act as we are waiting to become contemplative enough to discern what God is doing. God is always acting, because God is always loving his creation. The Father, Son, and Holy Spirit are always inviting us into their house of love. But when we are consumed by anger, harried by anxiety, and driven by impatience, we are blind and deaf to what God is actually doing in the present moment. When God broke into history decisively through the Incarnation, who discerned it? Not the Pharisees whose religious movement was loudly predicting that God was about to act. Not the scribes and priests who were the professional experts in prophetic scripture. Instead it was pagan stargazers and peasant shepherds who discerned what God was doing. They were not the experts and they were not the reactionaries at the loud center of religious noise; they were quiet people on the silent edges of contemplative thought. Gazing at stars and keeping watch by night are profound metaphors for the contemplative life. To most people it would appear that the Magi and the shepherds were doing nothing of significance in their long nighttime vigils, but they were the ones who were able to discern what God was doing. It was contemplative stargazers and shepherds, having learned how to wait in silence, who found their way to Bethlehem. They were the ones who discerned what God was doing in the seemingly ordinary event of a young woman giving birth in an out of the way place. Waiting for God to act only seems like waiting for God to act. God is always acting because God is always loving the world and always giving birth to something. Waiting for God to act is actually waiting for your soul to become quiet enough and contemplative enough to discern what God is doing in the obscure and forgotten corners, far from the corridors of power or wherever you think the action is. We want God to act in the imperial capital of Rome, but God first acts in a stable on the edge of Bethlehem. We want God to act in Washington D.C., but God first acts in the quiet corner of your own living room. So let me say this to you quite confidently: God is about to act. God is about to act in your life and in our world. But if you want to discern the actions of God you must learn to first wait in quiet contemplation. Before you can become an activist, you must first become a contemplative; otherwise you’ll just be a re-activist. And re-activists merely recycle anger and keep the world an angry place. Jesus was a contemplative activist, but never a re-activist. So learn to gaze at the stars. Learn to keep vigil in the fields. Learn to sit with Jesus. Learn to be quiet. Learn to wait. Then, and only then, will you begin to discern what God is doing. May this Advent help prepare you to discern what God is about to do in your life and in our world.